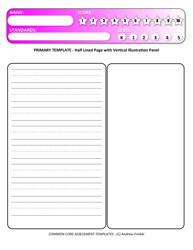 These are two half-page writing templates for primary grades. 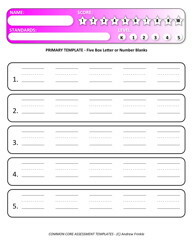 Here are four writing templates you can use for writing letters or numbers, as well as spelling. They feature 5, 10, or 20 blanks. 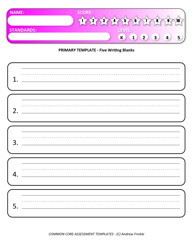 This is a full-page writing template for primary grades. Here are writing templates for writing short sentences or phrases. They feature 5 or 10 lines.